These are the posters I made for Karen Lorraine for the Secret Scuba event. A little fishy told me that Karen liked Baroque music, such as Mozart, Bach, Handel, and so on. 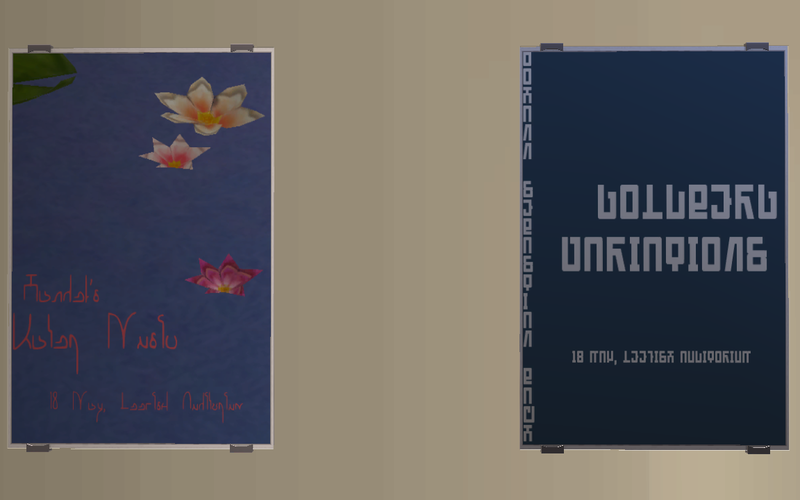 Originally, I was planning an giant elaborate set of Mozart posters, but do you know, nobody in the Sims 2 community has made a suit of feathers with a giant birdcage welded on the back of it? Tsk tsk. 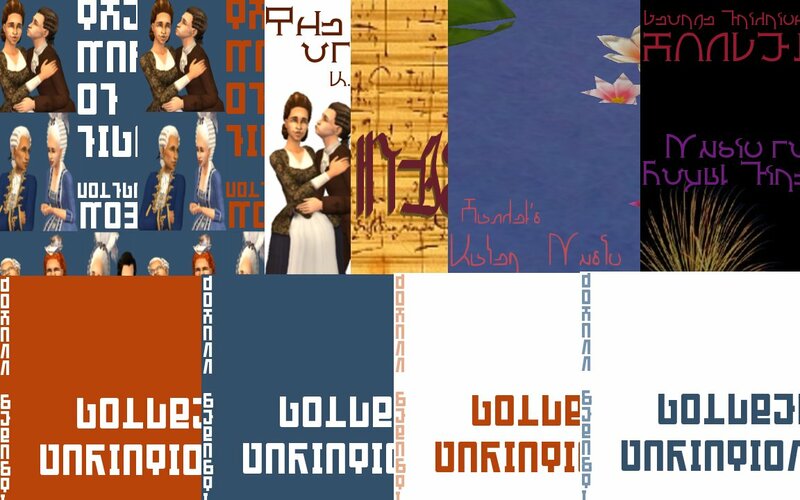 So instead you get three posters of The Marriage of Figaro (one full-body and two with close-ups but different color text), one each for the Water Music, Music for the Royal Fireworks, and The Messiah, and four for the Goldberg Variations. Fittingly, the Goldberg Variations posters are all variations on the same theme. When a date and location is included in the poster, the date is "18 May," and the location is "Leefish Auditorium." Also included are the original pngs, in case you think they would look better on a different mesh. They are sized to fit the Pineapple mesh, but that's what Photoshop is for, right? I can't make recolors -- only images -- so the fantabulous and most wonderful Kiri took my images and put them on the Pineapple mesh for me. She did it in less than an hour, and after I'd called her the wrong name, so that is proof positive that she is made of Win. Esme, you are so droll. I love your posts, and I like the paintings a lot too. The paintings are gorgeous and me to a tee, thank you.